All our beds come with a mechanism that enables the following range of movement. Starting from : €1,695.00(3 Foot). The Skellig White Electric Adjustable Bed is a stunning piece of designer Bedroom Furniture which fits perfectly into the contemporary Irish Home.Scroll down, or Click Here for Full Price List of Skellig White Electric Adjustable Bed Range.This beautiful piece has a White Finish with a Contemporary Grey Trim.Each Irish-Manufactured item is crafted to the highest standards using traditional skills and materials.The Skellig Electric Adjustable Bed Range are also available in Extra Long Length for the Taller Person.Click here for more information.The Skellig White Electric Adjustable Bed also comes in a beautiful Cream Finish : Skillig Cream Electric Adjustable Bed.Bedroom Furniture available to complement the Skellig White Electric Adjustable Bed. 3 Foot(Single) @ €1,695.00 4 Foot(Large Single) @€1,995.00 4 Foot 6inches(Small Double) @€2,195.00. 5 Foot(Dual Mattress & Dual Motor) @ €2,695.00. 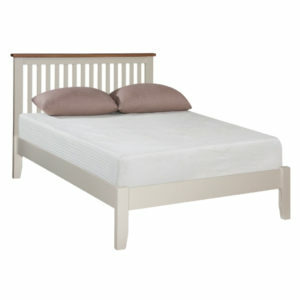 6 Foot(Dual Mattress & Dual Motor) @€2,895.00.The above prices are subject to VAT @23%. Starting from : €2,995.00(4Ft 6 inch). The Kilmichael Wooden Electrical Adjustable Bed is a beautiful Classic Walnut Curved Slatted Design. Scroll down, or Click Here for Full Price List of Kilmichael Electric Adjustable Bed. 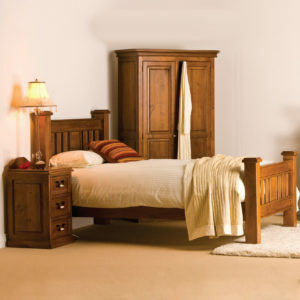 Transform your bedroom with this classic walnut toned, curved slatted piece of furniture . The photo is of a Single Mechanism/One Mattress 4ft 6in (Small Double Bed) Kilmichael Electric Adjustable Bed. The 5ft & 6ft Kilmichael are both Dual Beds, with 2 Adjustable Mechanisms, and 2 Mattresses, for independent movement.The Kilmichael Electric Adjustable Bed is also available in Extra Long Length for the Taller Person.Click here for more information.Superb range of bedroom furniture available to complement the Kilmichael Electric Adjustable Bed. The Moya Curved Electric Adjustable Bed is finished in a Semi Gloss Silent Grey with Solid Oak Bevelled Tops.Scroll down, or Click Here for Full Price List of Moya Electric Adjustable Bed Range.The photo is of a Single Mechanism/One Mattress 4ft 6in (Small Double Bed) Moya Electric Adjustable Bed. The Moya Curved Electric Electric Adjustable Bed is also available in a Straight/Slatted style.The Moya Electric Adjustable Bed range are also available in Extra Long Length for the Taller Person.Click here for more information.Superb range of matching Bedroom Furniture available to complement BOTH of the Moya Electric Adjustable Bed styles. Starting from :€2,895.00(4Ft 6 inch). The Maeve Wooden Electric Adjustable Bed is a generously proportioned Solid Wood Slatted Bed, which features a gently rounded corner edge profile. Scroll down, or Click Here for Full Price List of the Maeve Electric Adjustable Bed Range.Manufactured from New Zealand pine and finished in an Antique Oak colour the Maeve Adjustable Bed features 40mm tops on all units .The Maeve Electric Adjustable Bed is also available in Extra Long Length for the Taller Person.Click here for more information.Bed Measurements : 140mm(5.5inches) x 120mm(4.75inches).Superb range of Bedroom Furniture available to complement the Maeve Electric Adjustable Bed. 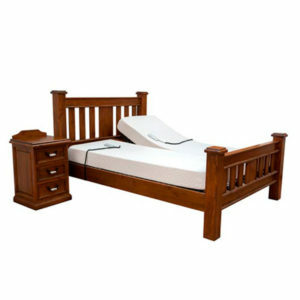 Send Enquiry for Barryroe Wooden Electric Adjustable Bed. Barryroe Wooden Electric Adjustable Bed. 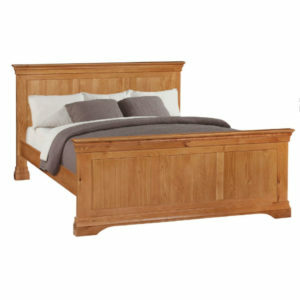 The Barryroe Wooden Electric Adjustable Bed is a beautiful simple Solid Oak bed with a Low Foot End .Scroll down, or Click Here for Full Price List of Barryroe Electric Adjustable Beds.It is a stunning feature for any bedroom.The photo is of a Single Mechanism/Single Mattress 4ft 6in (Small Double Bed) Barryroe Electric Adjustable Bed. The 5ft Barryroe is a Dual Bed, with 2 adjustable mechanisms and 2 mattresses, for independent movement.Superb matching bedroom furniture available to complement the Barryroe Electric Adjustable Bed.The Barryroe Electric Adjustable Bed is also available in Extra Long Length for the Taller Person.Click here for more information. The Dunworley Wooden Electric Adjustable Bed is a beautiful Slatted Design with a Pine Trim and a Low Foot End and is a stunning feature for any bedroom. Scroll down, or Click Here for Full Price List of Dunworley Electric Adjustable Bed Range.Semi gloss champagne lacquer finish gives this exquisite range a modern feel.The photo is of a Single Mechanism/One Mattress 4ft 6in (Small Double Bed) Dunworley Electric Adjustable Bed.The Dunworley Electric Adjustable Bed is also available in Extra Long Length for the Taller Person.Click here for more information.The 5ft Dunworley is a Dual Bed with 2 adjustable mechanisms and 2 mattresses for independent movement.Superb matching bedroom furniture available to complement the Dunworley Electric Adjustable Bed. Starting from €2,995.00(4Ft 6 inch). The Leah Wooden Electric Adjustable Bed is a traditional French Style Sleigh Bed crafted in Solid Oak, coated with a light clear stain. 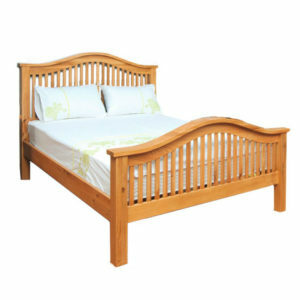 The rounded tops give a delicate sense to this beautiful Solid Oak Bed. Scroll Down, or Click Here for Full Price List of the Leah Electric Adjustable Bed Range. The gentle curve on the bed display true craftsmanship. The photo is of a Single Mechanism/Single Mattress 4ft 6in (Small Double Bed) Leah Electric Adjustable Bed. The 5ft & 6ft Leah are both Dual Beds, with 2 Adjustable Mechanisms and 2 Mattresses, for independent movement.The Leah Electric Adjustable Bed is also available in Extra Long Length for the Taller Person.Click here for more information. Superb range of matching Bedroom Furniture available to complement the Leah Electric Adjustable Bed. 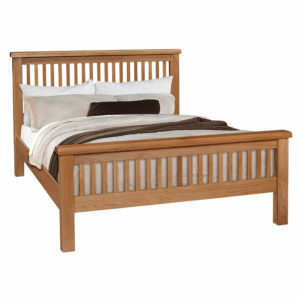 The Rembrandt Wooden Electric Adjustable Bed is finished in Whitewashed Brushed Oak, with a Slatted finish. The frames are Modern Grey with a traditional wood finish.Scroll down, or Click Here for Full Price List of Rembrandt Electric Adjustable Bed Range.The 5ft & 6ft Rembrandt are both Dual Beds, with 2 Adjustable Mechanisms, and 2 Mattresses, for independent movement.The tops are Brushed Oak to give a distressed look. The visible woodgrain makes this modern range a true classic.The Rembrandt Electric Adjustable Bed range are also available in Extra Long Length for the Taller Person.Click here for more information.The Rembrandt Slatted Electric Adjustable Bed is also available in a Curved Style.Superb range of matching Bedroom Furniture available to complement BOTH of the Rembrandt Electric Adjustable Bed styles. The Rembrandt Wooden Electric Adjustable Bed is finished in Whitewashed Brushed Oak with a Curved Finish.Scroll down, or Click Here for Full Price List of Rembrandt Electric Adjustable Bed Range.The photo is of a Single Mechanism/Single Mattress 4ft 6in (Small Double Bed) Rembrandt Electric Adjustable Bed. The frames are modern grey with a traditional wood finish. The tops are Brushed Oak to give a distressed look. The visible woodgrain makes this modern look a true classic.The Rembrandt Curved Electric Adjustable Bed is also available in a beautiful Slatted(Straight) style.The Rembrandt Electric Adjustable Bed range are also available in Extra Long Length for the Taller Person.Click here for more information. The Amstel Wooden Electric Adjustable Bed is an elegant slatted style bed with straight lines, a champagne colour finish and a beautiful Solid Oak Trim . The photo is of a Single Mechanism/Single Mattress 4foot 6inch(Small Double Bed) Amstel Electric Adjustable Bed. The 5foot & 6foot Amstel are both Dual Beds, with 2 adjustable mechanisms, and 2 mattresses, for independent movement.The Amstel wooden electric adjustable bed is also available in a Curved Headboard and Footboard, See : Amstel Curved.The Amstel Electric Adjustable Bed range are also available in Extra Long Length for the Taller Person.Click here for more information.Scroll down, or Click here for Full Price List of Amstel Electric Adjustable Bed(Range).Superb matching bedroom furniture available to complement BOTH Amstel Electric Adjustable Beds. The Innisfree Electric Adjustable Bed is part of a luxury range of designer Bedroom Furniture, featuring a luxurious Cream Finish with Solid Pine Features.Each Irish-Manufactured item is crafted to the highest standards using traditional skills and materials. 3 Foot(Single) @ €1,395.00 4 Foot(Large Single) @€1,495.00 4 Foot 6inches(Small Double) @€1,795.00. 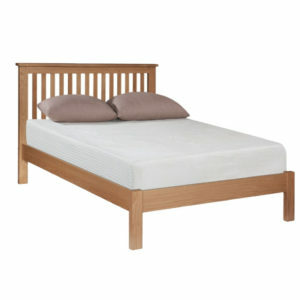 5 Foot(Dual Mattress & Dual Motor) @ €2,495.00. 6 Foot(Dual Mattress & Dual Motor) @€2,695.00. The above prices are subject to VAT @23%.Matching Bedroom Furniture available to complement the Innisfree Electric Adjustable Bed. The Skellig White 2 over 3 Drawer Dresser complements the Skellig White Electric Adjustable Bed.This piece is part of a stunning range of designer Bedroom Furniture which fits perfectly into the contemporary Irish Home.Each Irish-Manufactured item is crafted to the highest standards using traditional skills and materials. The Skellig Cream 2 over 3 Drawer Dresser complements the Skellig White Electric Adjustable Bed.This piece is part of a stunning range of designer Bedroom Furniture which fits perfectly into the contemporary Irish Home.Each Irish-Manufactured item is crafted to the highest standards using traditional skills and materials. The Skellig Cream 2-Drawer Bed Side Locker complements the Skellig White Electric Adjustable Bed.This piece is part of a stunning range of designer Bedroom Furniture which fits perfectly into the contemporary Irish Home.Each Irish-Manufactured item is crafted to the highest standards using traditional skills and materials. The Skellig White 2-Drawer Bed Side Locker complements the Skellig White Electric Adjustable Bed.This piece is part of a stunning range of designer Bedroom Furniture which fits perfectly into the contemporary Irish Home.Each Irish-Manufactured item is crafted to the highest standards using traditional skills and materials.